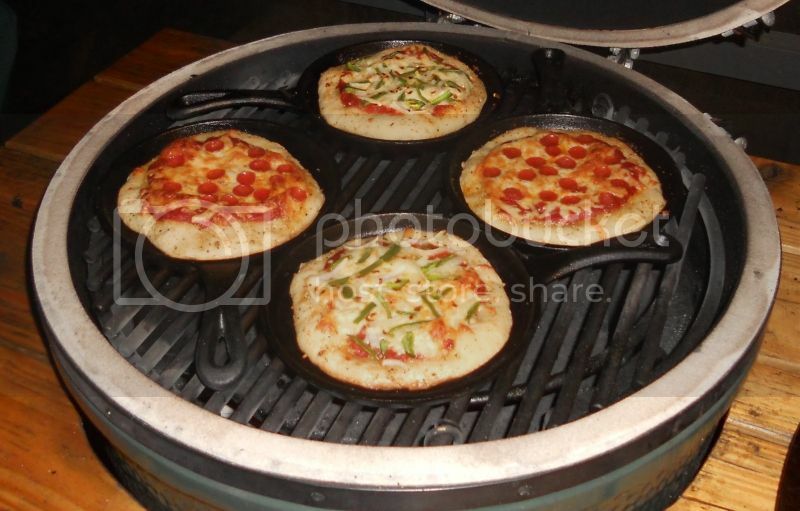 Thought I'd share these for Thick Crust as he is interested in the BGE. It's about 10*F outside and I'm on a diet. I don't have a BGE either. Man that looks good! I am sooo getting an egg next summer - when you can create something like that, why not. Nice dish pans, I'll have to score a few of those too. Are the cheaper imitation Big Green eggs any good? I am trying hard to save for a trip to Mexico too! I bet you can really jack the temp up too. Thanks for the pics! I�m not sure on the knock offs. BGE eggheads swear by them. I posted earlier we have 2 and will have the 3rd in a couple weeks. It�s a serious addiction! We�ve been to 3 Eggfests and our 4th in March (those are a blast). So many things you can do on the Egg. 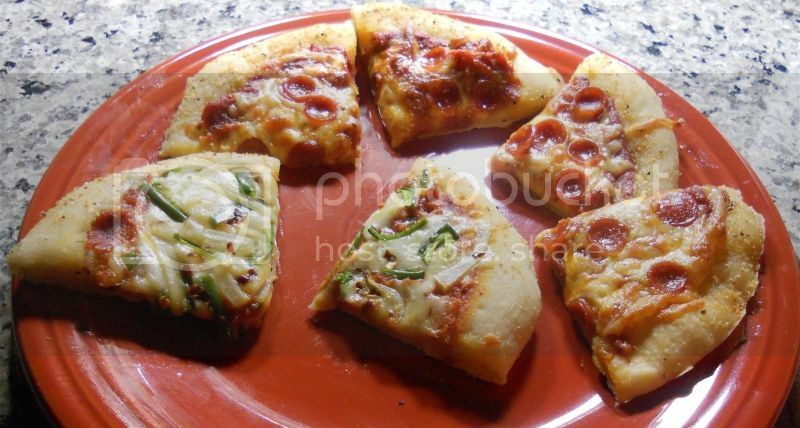 We bake bread, make breakfast, pizzas�endless! 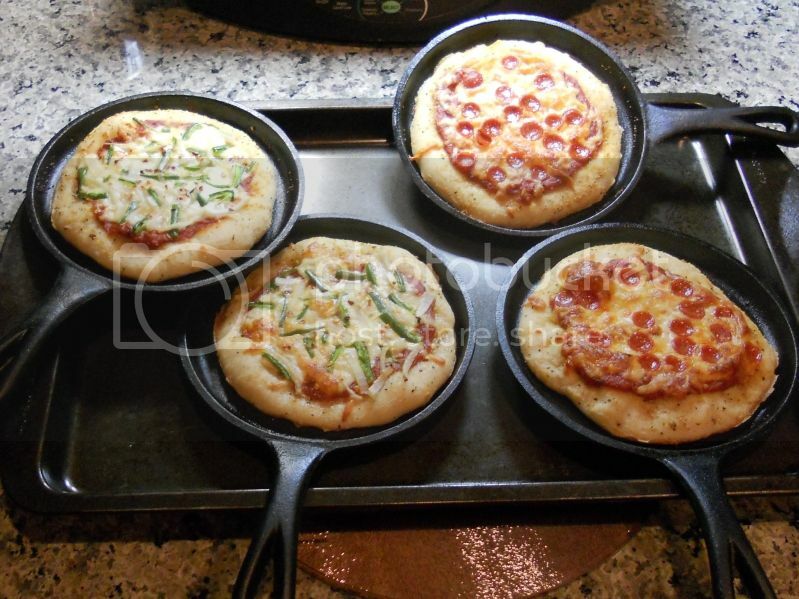 I�ll post on the mini cast irons in the pizza recipes!